The government is to overhaul the system through which charities receive notifications when they have been left gifts in wills. Under the existing system, the legacy information provider Smee & Ford offers charities a paid-for service to give them early notification when someone has left them a donation in a will. But in an open letter to charities, published today, Susan Acland-Hood, chief executive of HM Courts and Tribunals Service, said that although this arrangement with Smee & Ford had been set up in good faith "HMCTS has since found that it is not consistent with the department’s legal duties". As a result, she said, HMCTS was seeking help from charities to design a new system that it could run directly. Representatives of the charity leaders body Acevo, the National Council for Voluntary Organisations, the Institute of Fundraising and the Institute of Legacy Management had been invited to join a working group examining the issue, she said. "I recognise the value to charities of receiving early notification of bequests left in wills and we are committed to working alongside the sector to establish a new, sustainable arrangement that works for everyone," she said in a statement. "Our decision to end our current arrangement with Smee & Ford is no reflection on the service provided by it, but comes as a result of an assessment of our legal position." She said ensuring there was no disruption of the service would be a priority. HMCTS would work closely with the company to ensure continuity, Acland-Hood said, and would seek its views and expertise on options for a new arrangement. In the open letter, she said she wanted to reassure charities that the aim was to create an arrangement that worked for charities. "We will ensure that all decisions are communicated as widely as possible to keep all charities informed of developments on this important issue," she said. 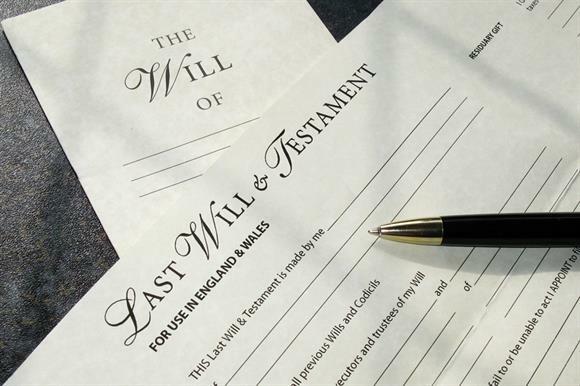 She added that more than 122,000 charitable bequests were found in wills in 2017 and her department would work closely with Smee & Ford over the six-month notice period to ensure there would be as little disruption as possible to the service. More information would be available on the HMCTS website, she said. A spokeswoman for Smee & Ford said the company would continue to provide the service until 31 July. "We will also be working with HMCTS to discuss future arrangements and we remain committed to providing the sector with these invaluable services in the longer term," she said. "We have received many messages of support this afternoon from the many charities who value our services and as always, we encourage feedback to drive further improvements both directly and via the channels relating to this review."